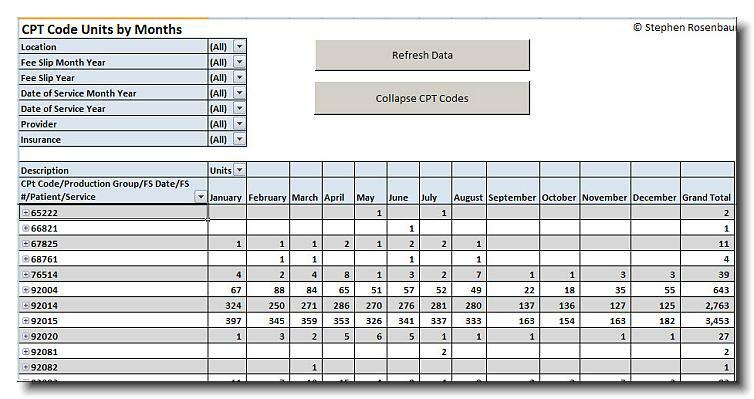 This is the report you need to compare your monthly fees by CPT Codes charged. How does one month compare to the next? How are your Provider fees comparing month to month? 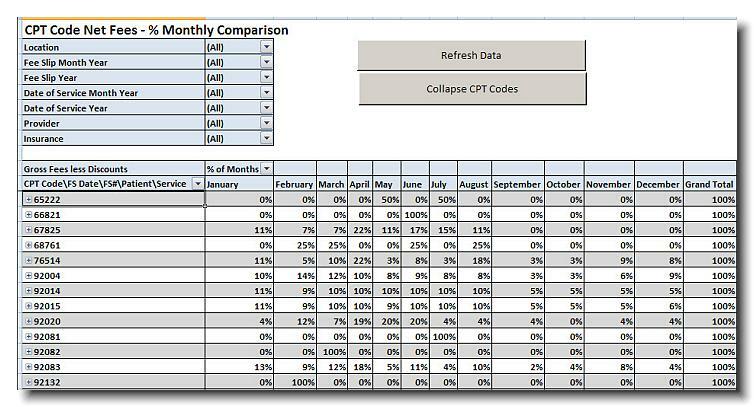 What % of your monthly business is made up of the codes? What percent of your business is represented month to month? What is the code trending by month? The Net Fees are Gross fees less Discounts. January was the highest producing month for 92014. What caused that? What happened in the other months? 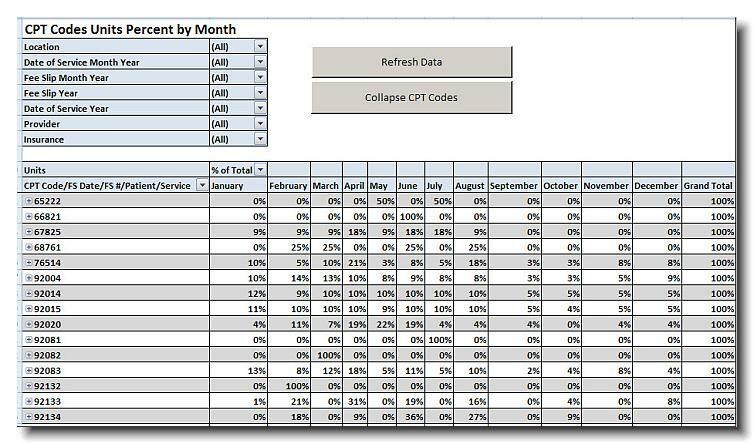 This report presents what percent of each month sales the CPT Codes represents compared to the other months. The same as the report above, except this report shows Units percent by Month.